Upcoming dancehall artiste, Blot aka Grenade has opened up on why he has been silent on the dancehall scene. Real name Takura Chiwoniso, Blot also cleared the air on why he is no longer working with DJ Fantan. 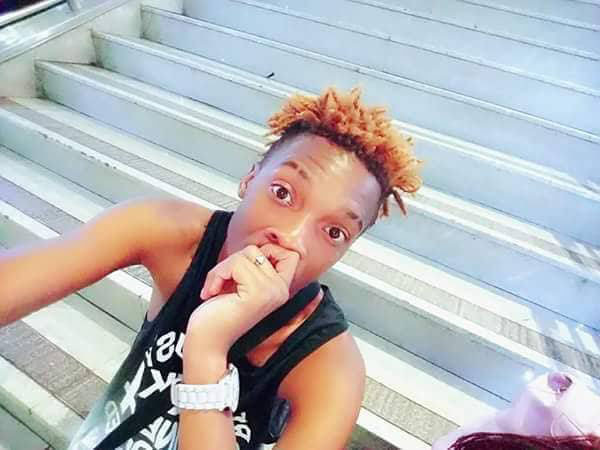 The 20-year-old Mbare based chanter who rocked the dancehall scene the latter part of 2016 into 2017 with songs like Rufu, Ndiri Bad, Ndege and Chikuru Rudo featuring Bounty Lisa, said he was silent because he was making music. “I had to take time off releasing music because I am working on a new project. “I am now working with King Shine of Uranium Music in Dzivaresekwa, it’s a new studio and so we did not want to rush with our productions but we wanted to concentrate on making good quality music. “The new music is now available and I have released a new song with four more songs going to be released in a few weeks to come. “It’s going to be released as a singles compilation but the first single is already out.” he said. The new single entitled Tenderedza (madiss) was released last Saturday on the Zi dancehall Empire presented by Abisha Palmer and 2 Bad. He denied that his move from Chillspot Records to Uranium was because he was no longer getting well with DJ Fantan one of the members of the studio. “Me and Fantan we are like brothers, that’s how our relationship is, he spotted my talent and helped out of love, there was no contract what so ever between us. Rumor on the street has it that the two fell apart after DJ Fantan, who was handling his affairs then, had denied the artiste an opportunity to fly to England for a show since there was no travelling ticket available for the manager. This then prompted Blot to release the song “Ndege” where he narrates the story. However Blot said the song was an artistic way of telling the story but what people think is not what happened, “Fanatan failed to have his ticket because there was a mix up of papers and not the story people talk about on the streets,” he added. He also revealed that he is currently working on his debut album, and Winky D will feature on one the songs.